What are you doing Saturday, August 6th from 8:00-10:00 p.m.? 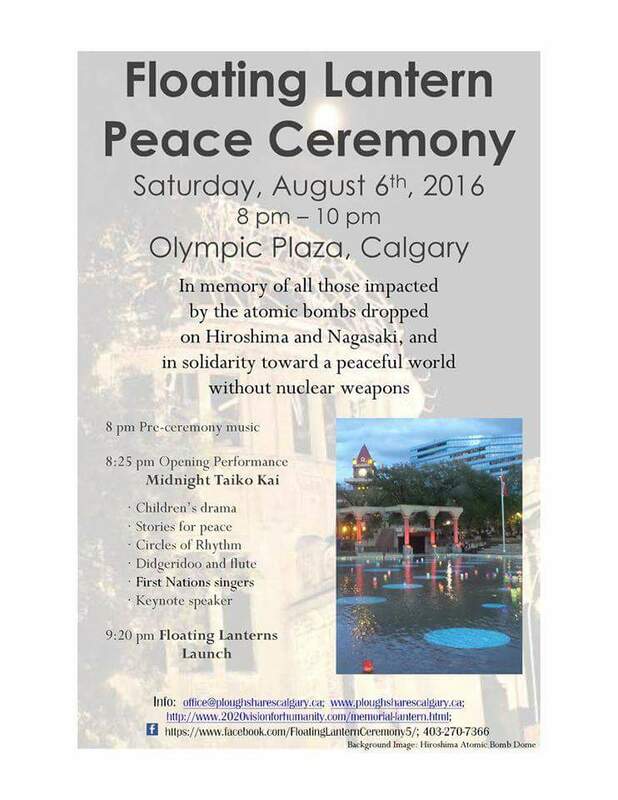 Why not go to the Floating Candle Peace Ceremony at Olympic Plaza in Calgary? Looking at the schedule for the event, it will be time well spent.Thanks to a member of the Pts4Chg community for bringing this to our attention. This entry was posted in Event, News and tagged healing, peace, YYC. Bookmark the permalink.